It has been too long since we've had a little sale and with the change in month and coming change of season (how is it already September?1?) it is the perfect time to stock up with a sale! 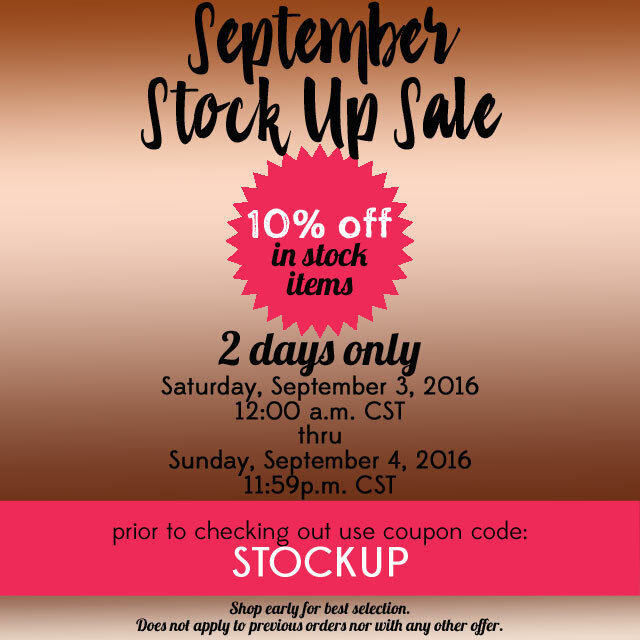 This Saturday, September 3 (CST) - Sunday, September 4 (CST) using the coupon code STOCKUP you will receive 10% off your entire order. I hope you enjoy the sale!